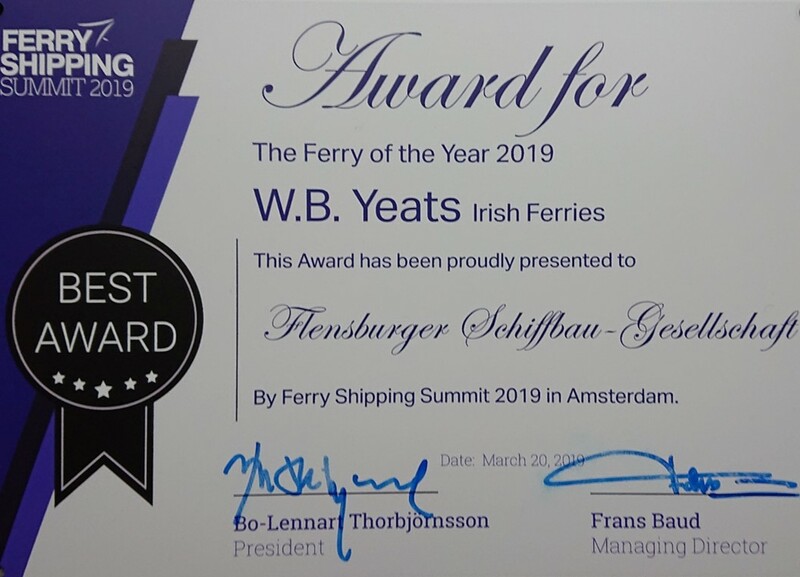 Flensburg, 21.03.2019; The awards for Flensburger Schiffbau-Gesellschaft (FSG) continues: the “W.B. 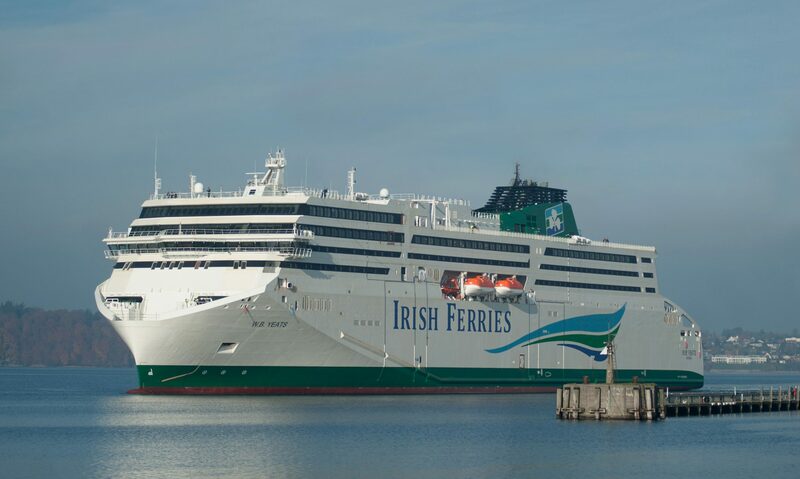 Yeats”, one of the world’s largest RoPax vessels, received the “Ferry of the Year 2019” award at the Ferry Shipping Summit 2019 for its distinctive design, large loading capacity and modern and timeless interior concept. The Ferry Shipping Summit 2019 took place in Amsterdam from 19 to 21 March 2019. André Powilleit, Head of Sales and Design at FSG, was delighted to receive this award on behalf of FSG. FSG’s employees are proud to have received this prestigous award, recognizing their contributions to the design and construction of the “W.B. Yeats”.